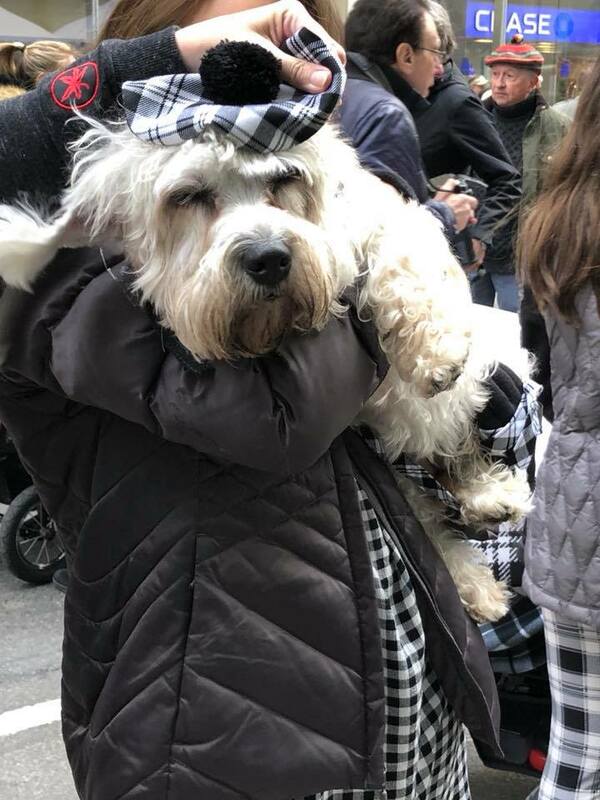 The Tartan Day Parade is a spirited celebration for those of Scottish ancestry who have made contributions to our country as a way of celebrating their heritage and our friendship with our Scottish friends. 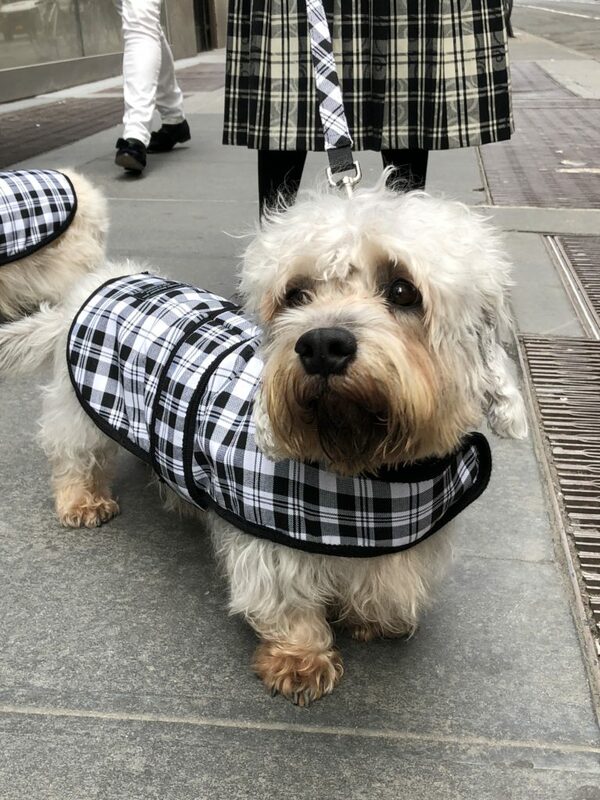 This year a small but mighty gathering of Dandie Dinmont Terriers took part in the 20th Anniversary of the National Tartan Day Parade in New York City. Twenty years earlier on April 4, 2008, President George W. Bush signed a Presidential Proclamation making April 6th National Tartan Day. This date wasn’t coincidental as it is an important date in Scottish history as on April 6, 1320, The Declaration of Arbroath was submitted to Pope John XXII asserting the independence from the Scottish nobility to preserve Scotlands independence from the Britain. 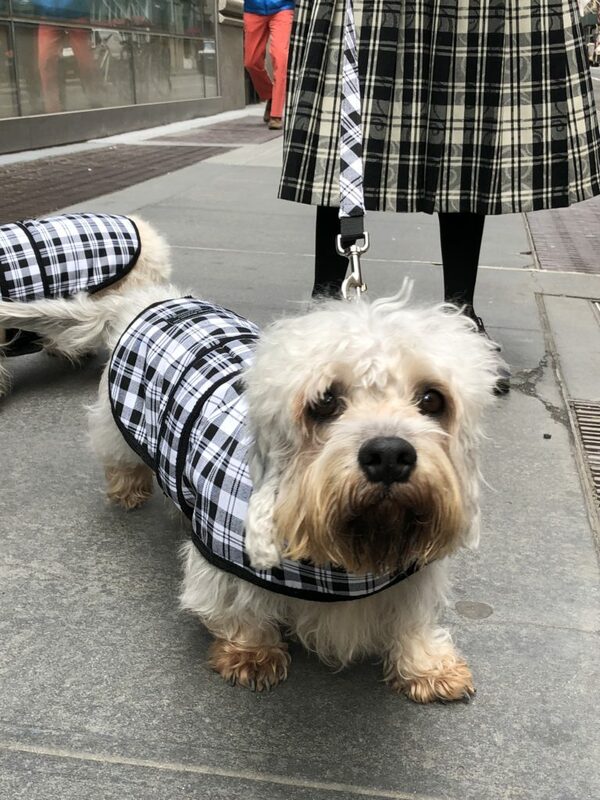 New York City had its first Tartan Day Parade in 1999 with a little over 100 people walking on the sidewalks from the British Consulate to the United Nations which included two pipe bands and lasted all of 30 minutes. 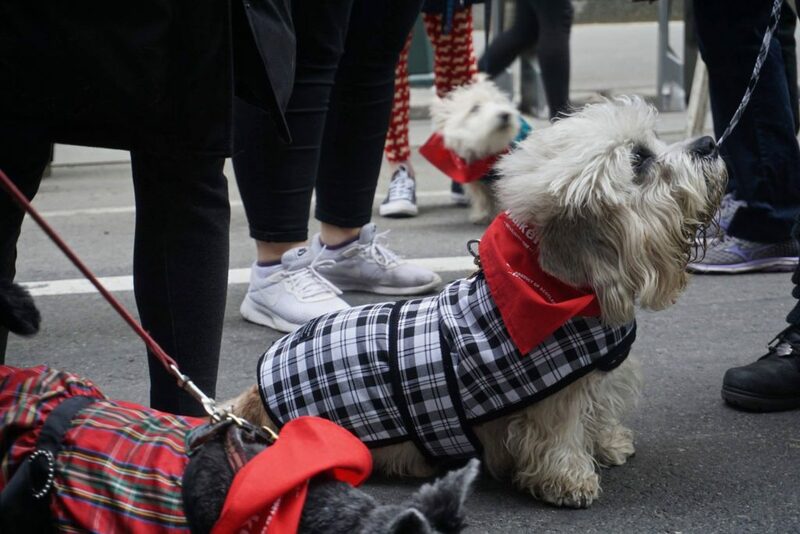 Much has changed and while other parades were going on across the country the largest gatherings have taken place in Washington D.C. and New York City. 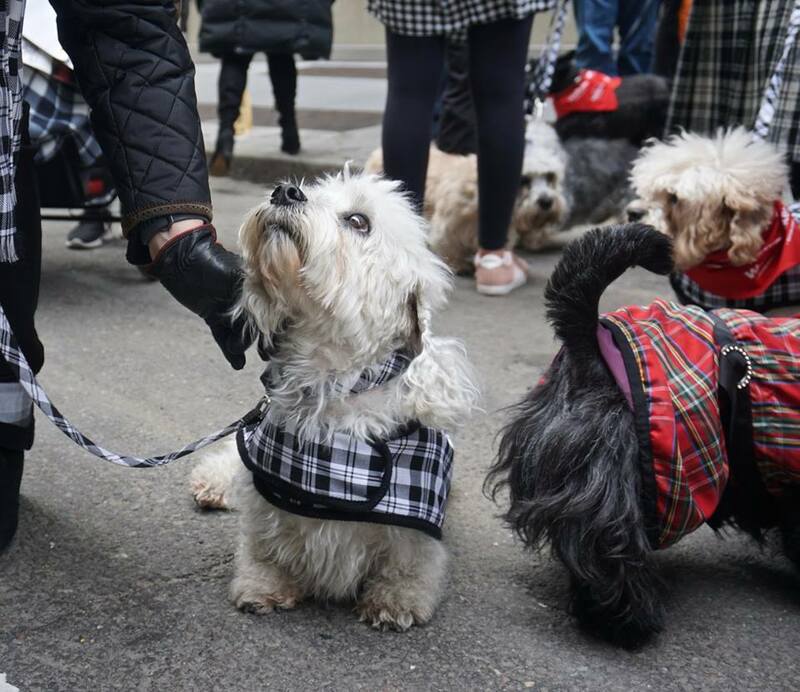 This years celebration brought over 4,000 registered marchers along with a contingent of various Scottish dog breeds. 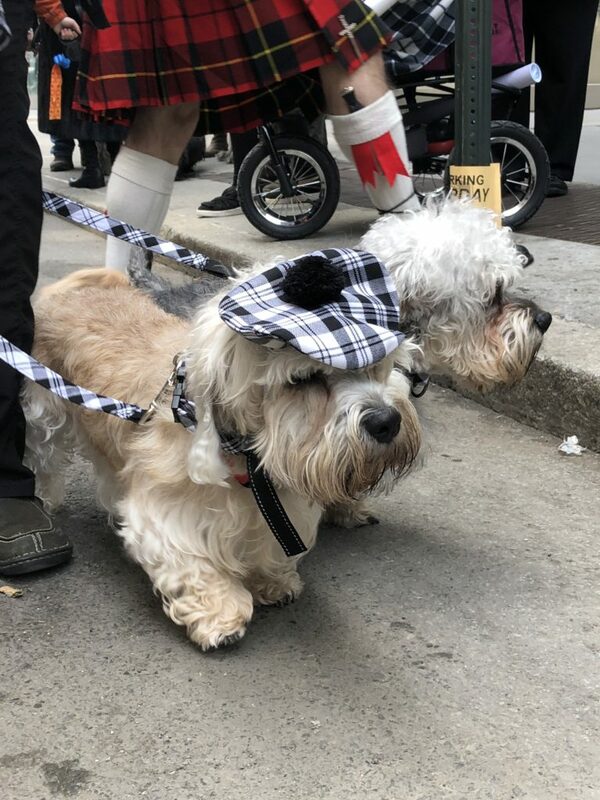 The sight of kilted men and women walking towards the sound of pipes and drums while young ladies doing Highland dance created a energy that made this event so joyful that the spectators seemed to stay for the full length of the parade. 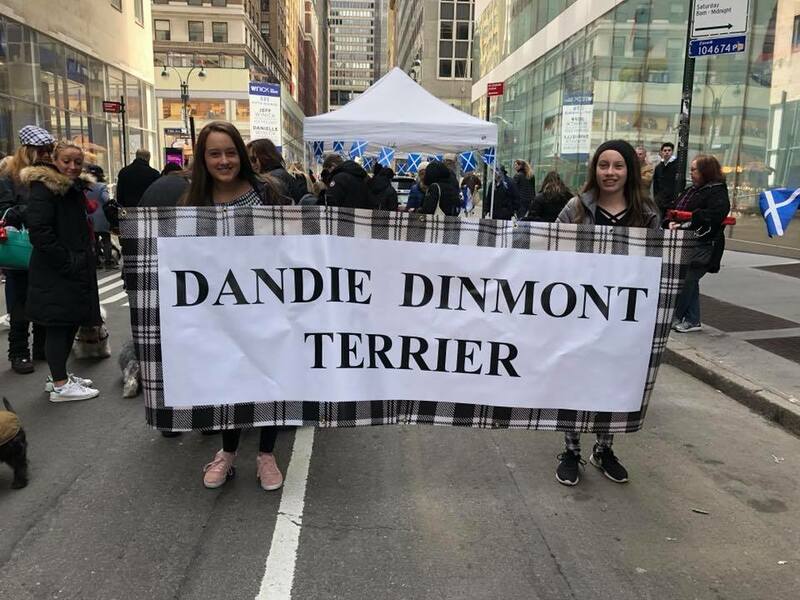 On West 46th Street throngs of people gathered around a growing number of Scottish breeds of dogs with their loyal owners who were positioned in a place of honor near to the top of the parade. 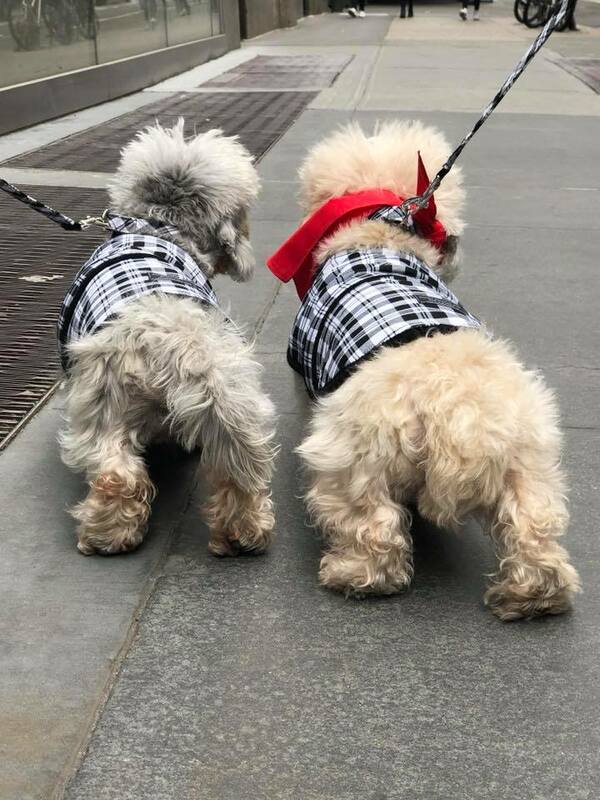 These leashed beauties of Shetland Sheepdogs, Scottish Terriers, West Highland Terriers and Dandie Dinmont Terriers grabbed everyones attention as the dogs were wearing tartan coats, bandanas, and caps while doing a playful meet and greet in the the middle of traffic restricted 46th street. 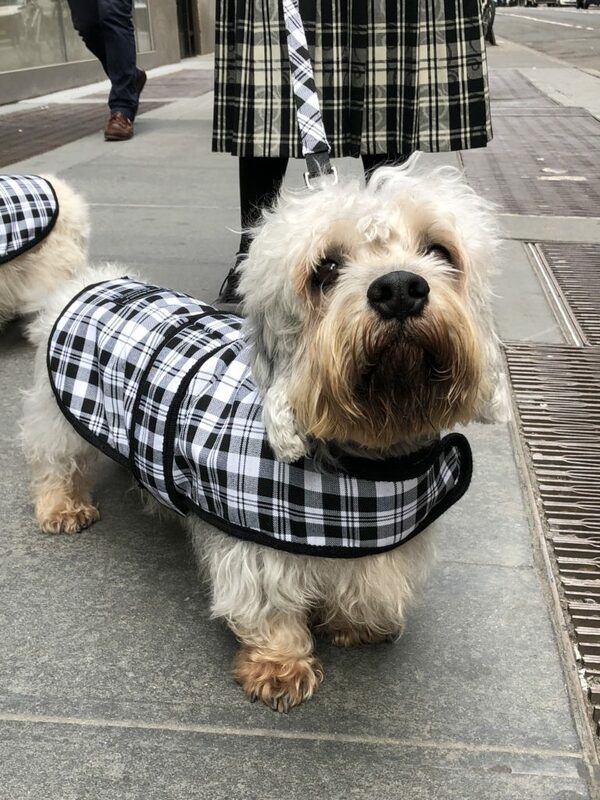 A very special gathering of seven Dandie Dinmont’s held everyones attention as this breed is so rarely seen outside of dog shows let alone walking on the streets of New York City that seeing this group was likely to have been a first for many to have met the breed up close. 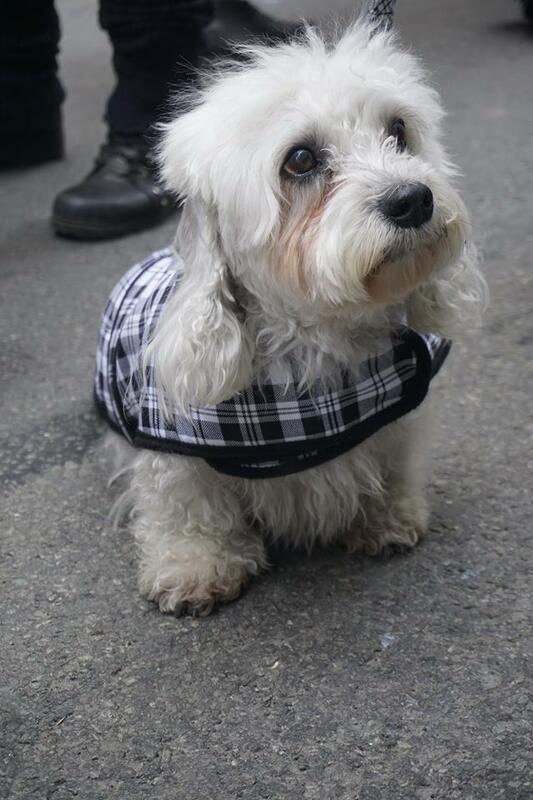 This dignified little dog name after a character in Sir Walter Scott’s novel Guy Mannering, appear like a vision with a silky coat, short legs, long body and one of the most expressive faces in the world of dog that captured the interest of so many people with one look at those eyes. 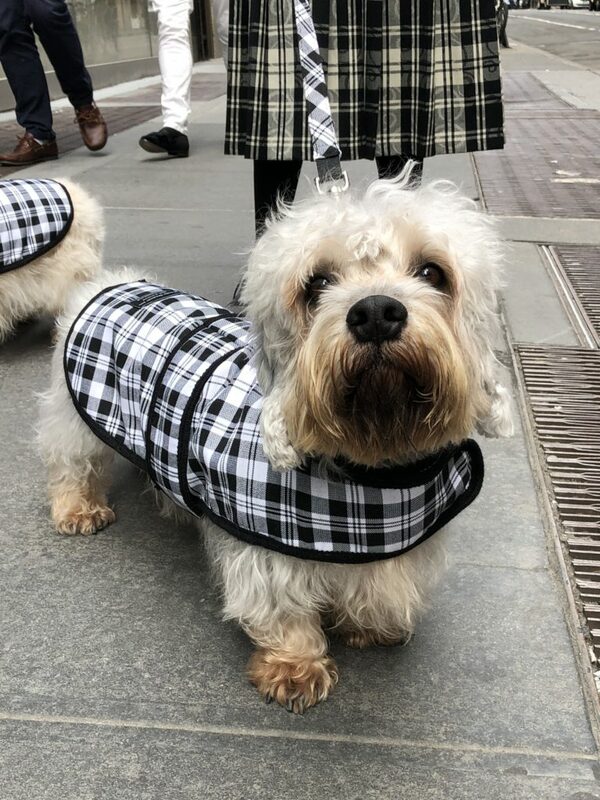 This breed is know for being far calmer than most terriers and widely considered to be the gentleman of terriers as they are undemanding of their owners and quite polite yet they are playful and a joy to have around while still remaining very much a terrier. 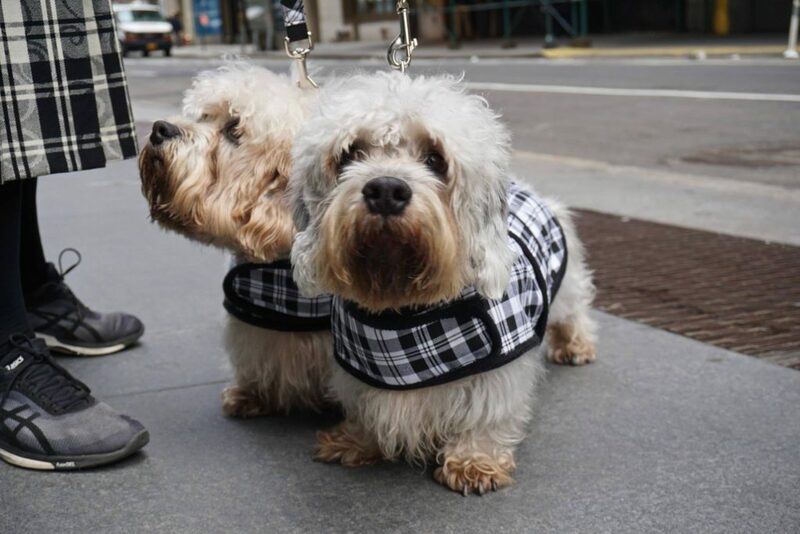 Dandie Dimont aren’t your ordinary dogs and not because they are one of the vulnerable breeds in the world but because they have DandieTude – which is the ability to carry themselves with an ease we all wish we had while being prepared to take on whatever is in front of them. 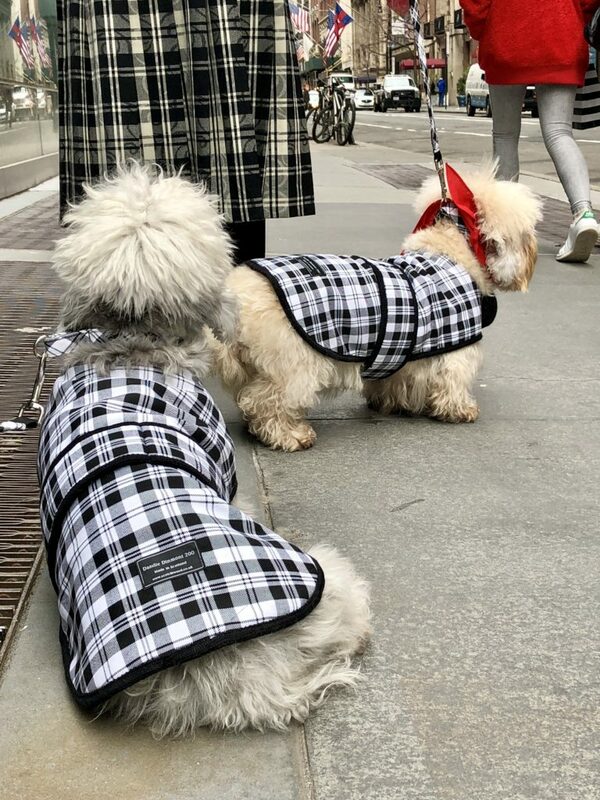 On this day it happened to be The Big Apple while wearing their very own special tartan. 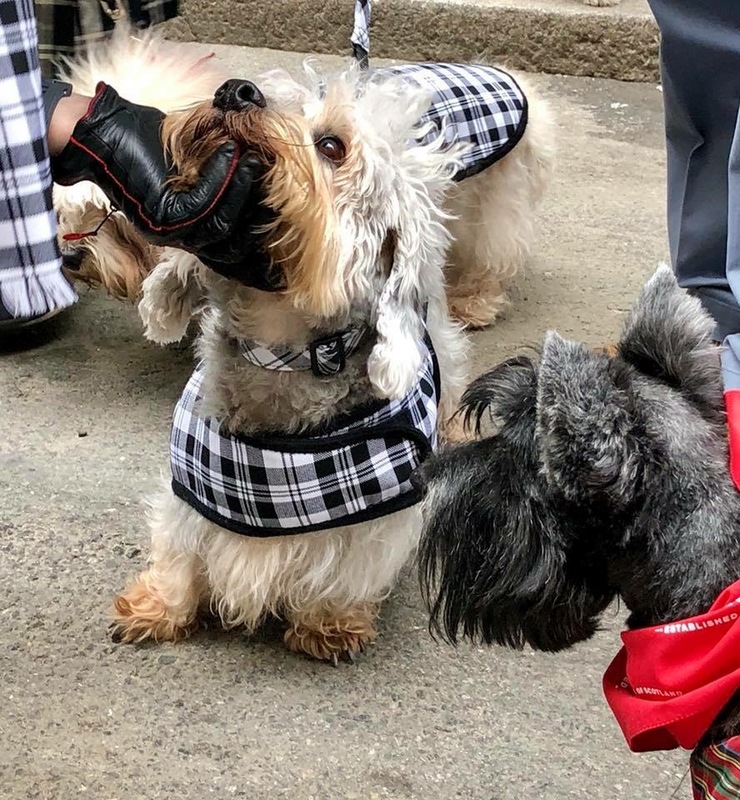 Spectators cheered as these four footed visions of confidence as stepped out from the shaded street and into the sun lit street behind the kilted men and women who were now moving forward onto the parade route as the sound of pipes and drums filled the cool afternoon air. 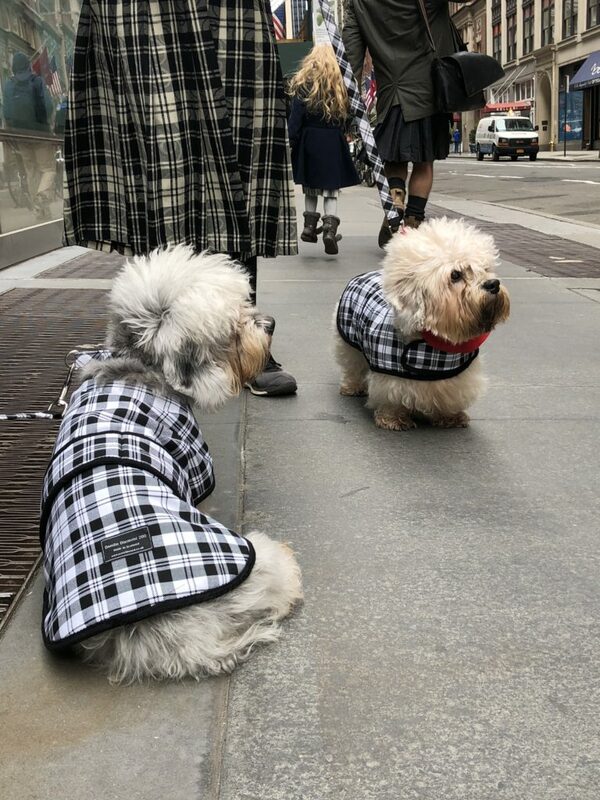 Absolutely nothing on this day felt more perfect than watching these Dandies Dinmont’s taking New York and knowing they owned every bit of it .